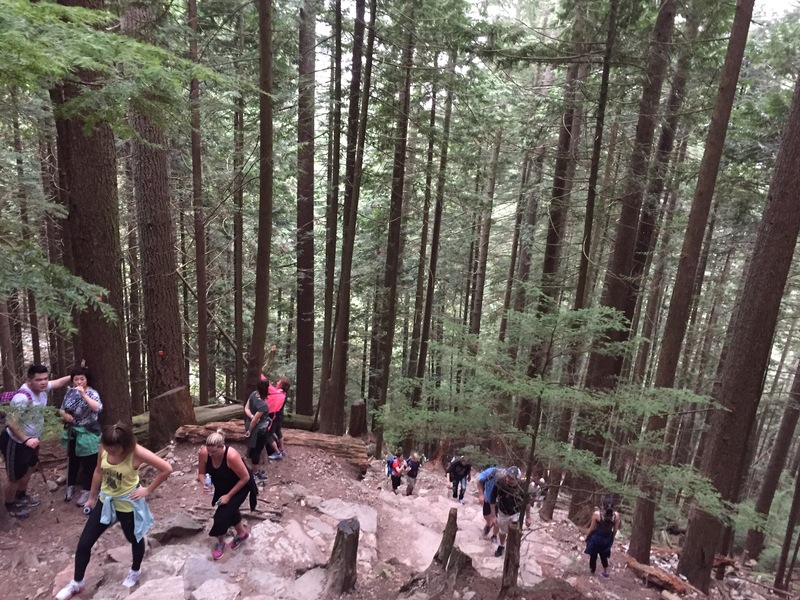 Call it a rite of passage, a must-do, a tourist “trap” or just a regular hike for the locals… we know it as The Grouse Grind, “Mother Nature’s Stairmaster.” It is a 2.9 km hike up Grouse Mountain that takes an average person 1.5 to 2 hours to complete. 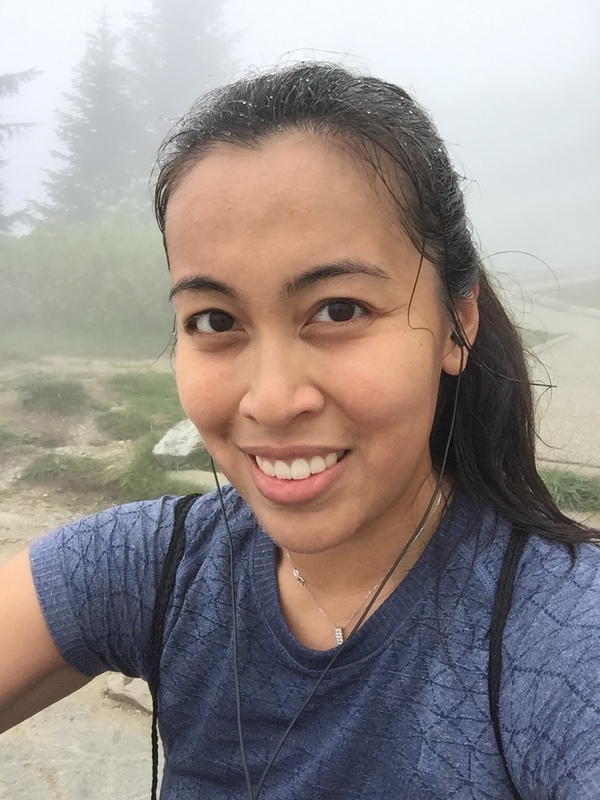 It’s free to go up, it’s grueling, but on a nice day, the view you get at the top is a reward in itself… oh and did I mention you get to burn hundreds of calories throughout the whole thing? That means guilt-free beers at the top of the mountain! 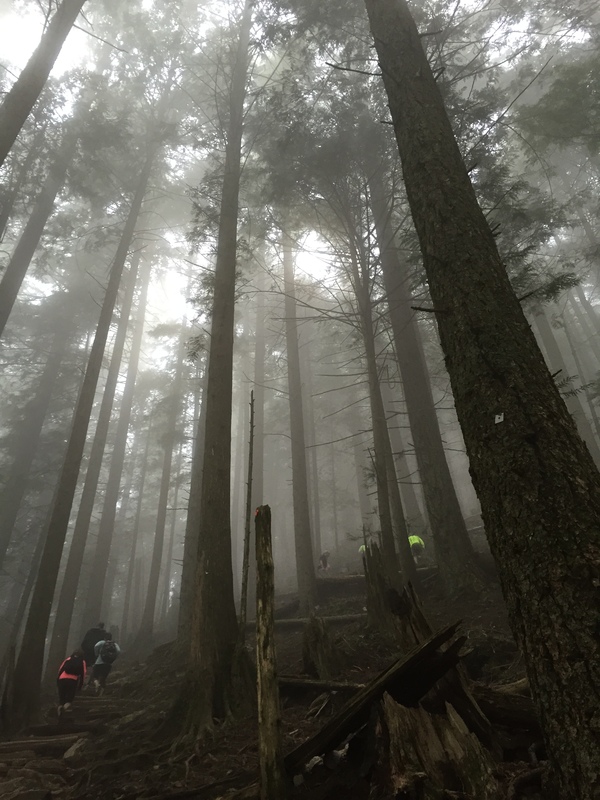 My last memory of the Grouse Grind was a bad one. I went years ago, it took me over 2 hours to climb it and I was pretty much pissed at my ex the whole time going up the mountain. It was not my favourite activity and pretty much said to myself, I’ve done it and I don’t want to do it again… ever. I went first thing in the morning on a cool and cloudy Sunday. I packed a small bag which included a bottle of Vega hydrator, a long sleeved shirt, and an energy bar just in case. I wore a t-shirt and shorts and it was not long before sweat was pouring out from every pore of my skin. Not surprisingly, it was a tough hike, but I found myself not complaining as much as I used to. I looked out for each marker and decided to stop to take photos of them as I went. I was so happy to reach each of them a lot more quickly than I used to. I did stop a few times to get water but other than that, I didn’t really delay, I had enough energy to keep going. At that hour, the trail was pretty busy but it wasn’t too bad. I still saw people wearing jeans! Why?! I got stuck behind some people who were having a really tough time but I stayed patient, as I used to be one of them. Heh… used to… feels nice to say that. I did the Grind solo… I’ve never done that before. It was really nice just being able to enjoy nature and my music as I climbed a mountain. My music really helped me stay focused. It was really foggy that day so looking ahead to see how much further I had left was pretty much useless. At least the temperature stayed cool. When I started seeing pipes along the trail, I knew I was almost there, so I powered through. 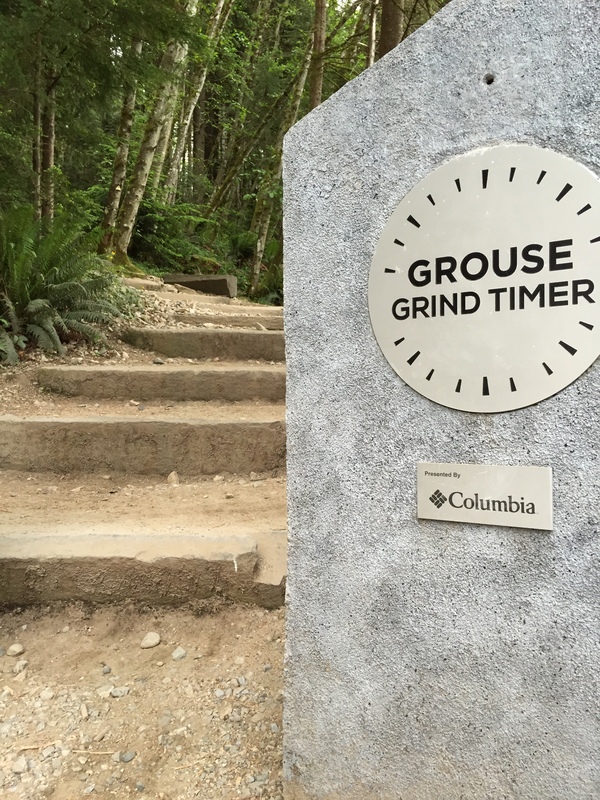 I’m so happy to say that I completed my first solo Grouse Grind in 1 hour and 27 minutes! 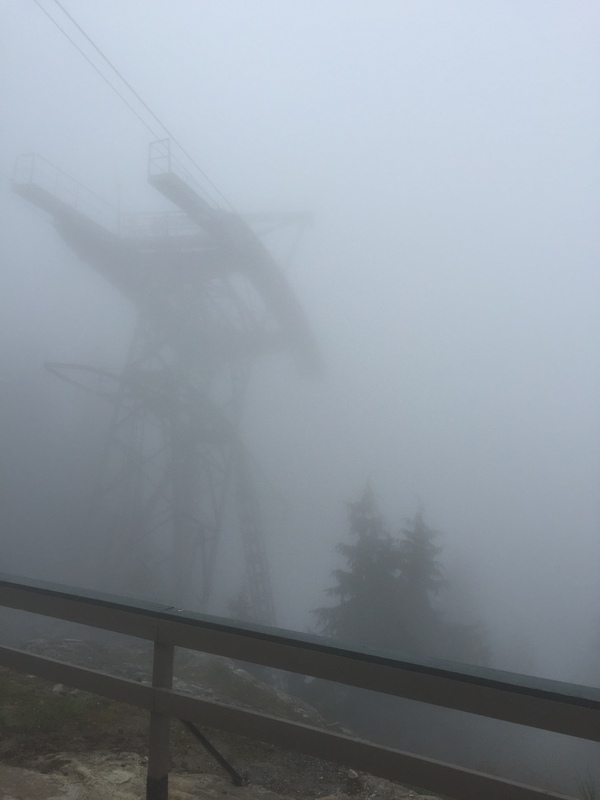 If I hadn’t taken photos it probably would’ve been faster 😛 Unfortunately, I wasn’t greeted by a breathtaking view at the top… just intense fog. So would I do it again? 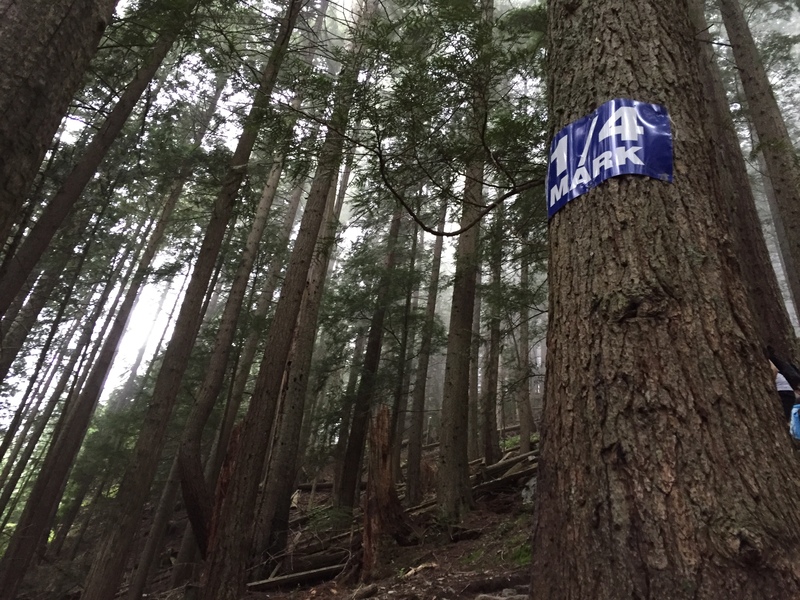 The answer is… I just bought a membership pass to Grouse Mountain… so I guess I have to do it at least 10 more times 😛 Let’s see if it helps with my half marathon time. Less than a month left until the Scotia Half! I just updated my race schedule page on the blog and man... it's gonna be a busy summer 🌞 I better enjoy the quiet while it lasts 😜 What's on your race calendar? My favourite running routes around #Vancouver haven't changed through the years. Our city is too beautiful, it doesn't get old. The @BMOVanMarathon is just weeks away! Are you nervous? Excited? All of the above? I don't blame you. Here's a look back at when I first ran it in 2017. Hope I can give you some insight on what to expect.